Frame height has 18” of total adjustment to accommodate various bag sizes. Dust tight inflatable inlet-tube seal. 10” Quantum orifice gate valve at filler inlet. 304 stainless steel inlet tube includes dust control inner liner with dust take off stub. 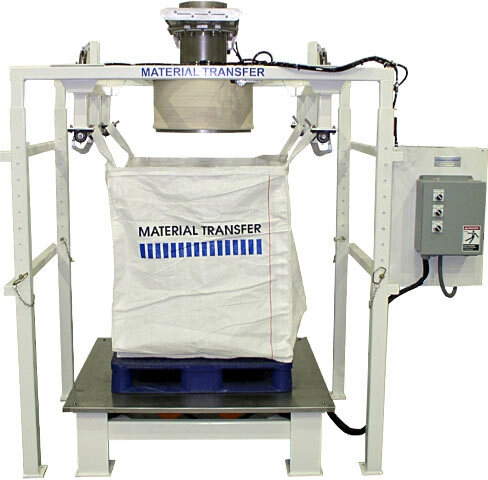 Fully integrated bag densification system with twin rotary electric vibrators. Adjustable bag hanger system is flexible and easy to use. Manual bag strap attachments with automatic strap release. Stainless steel skid plate on densifier platen.